Go to the Layout Area. By a click on the circled arrow in the Page group, open the Layout Settings. 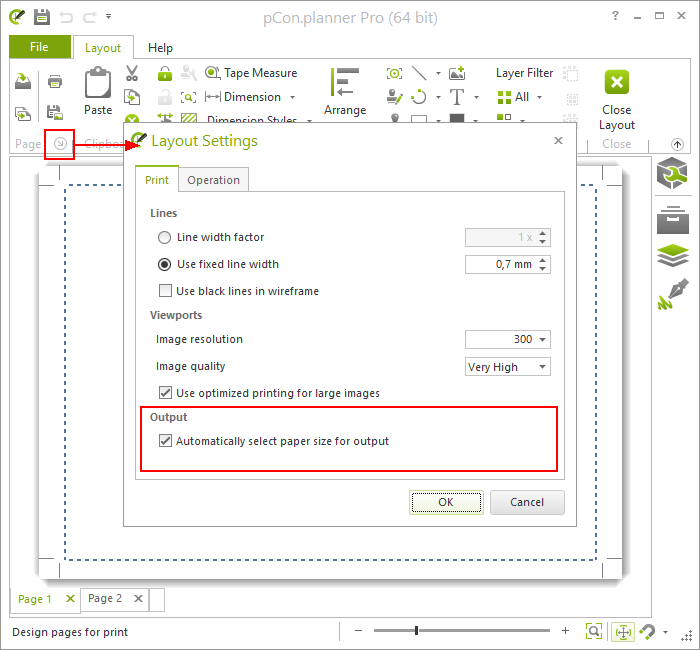 In the Print register you will see the option Automatically select paper size for output. Note: In some cases, the plotting errors might occur even if this option is deactivated. For these cases we recommend activating Automatically select paper size for output.